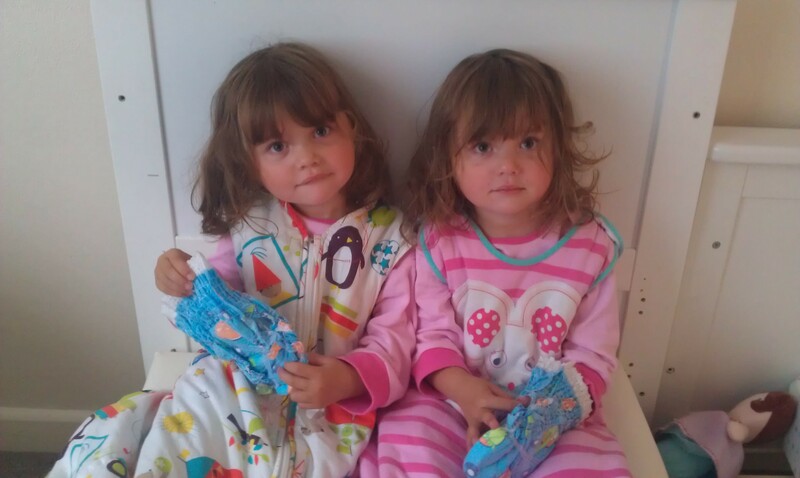 Place your bets: Are my daughters identical twins or non identical twins? After two and a half year’s of hearing the question, “Are they identical?”, we are fed up of answering with, “I don’t know”. This obviously leads to numerous other questions, and when all you wanted was a pint of milk in the supermarket, that soon becomes annoying! 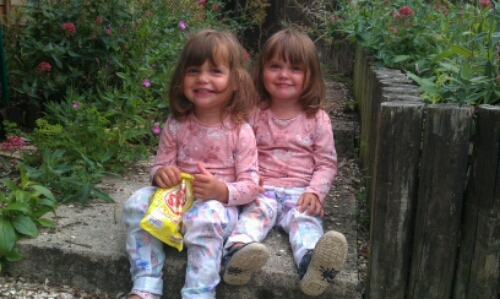 Aside from which, I genuinely WOULD like to know if my twins are identical or non identical. I’d like to be able to tell them, when they are old enough to ask. So, we are getting a zygosity test done, by DNA Solutions. Today we took cheek swaps, from both twins and packaged them into an envelope and sent it off for analysis. I don’t know how long it will take to get a response, but I’m excited about it. Identical twins are caused by one sperm, fertilising one egg, and then the egg splits into two embryos. The twins have identical DNA. Non identical twins are caused by two eggs, fertilised by two sperm and have 50% of the same DNA – just like any siblings with the same parents. Semi-identical twins, although extremely rare, is caused by two sperm, fertilising one egg, before the egg splits. Meaning the twins carry identical DNA from the mother, and Non Identical DNA from the Father. Only one case of semi ID twins in the world, have ever gone public. The majority of people only get the straightforward ID / Non ID zygosity test, which is probably why there are so few cases of semi-identical twins in the world. But I am a curious creature, so I am having the full test done. I personally, as Tiny and Fluffy’s Mummy, don’t think they look very much like each other. But there are some days, when they do. Some days, when we get them mixed up (but only for a split second!). 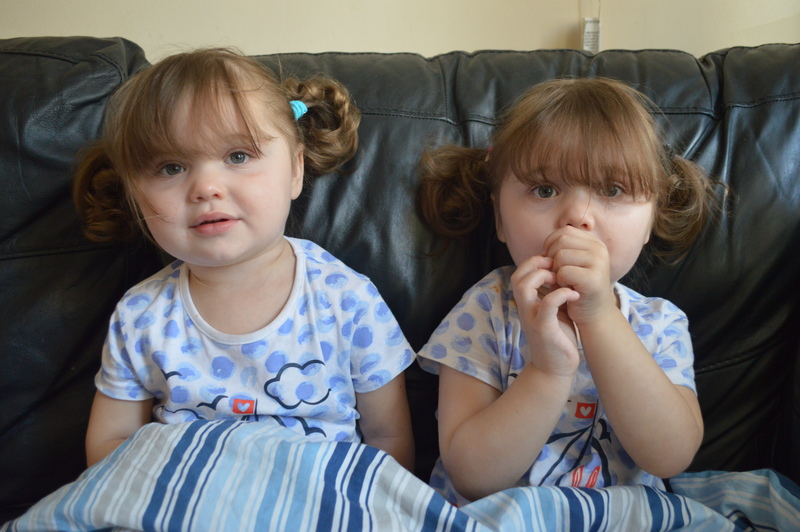 Do YOU think our twins are Identical, Non Identical, or Semi Identical? Which type of twins, do you think Tiny and Fluffy are? I will blog the poll results AND the DNA results, as soon as the DNA results come through. 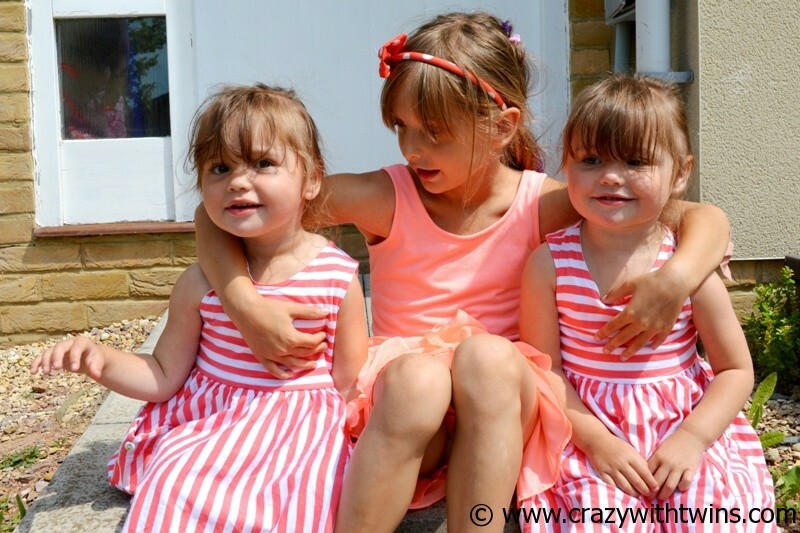 This entry was posted in Baby development, Family, Health, Medical, Parenting, Photography, toddlers, Twins, Uncategorized and tagged DNA test, identical twins, non identical twins, semi identical twins, toddlers, Twins, zygosity, zygosity test. Bookmark the permalink. If they told you they are ID then they are definitely ID. If they shared a sac and placenta then they are ID. If they have a sac and a placenta each, then they “assume” them to be non ID, but there is still a 30% chance of them being ID. My mum is a twin. Growing up my grandad thought they were identical but grandma didn’t. When they were 50 they decided to find out. Turns out they are identical, don’t think either were happy about the result! 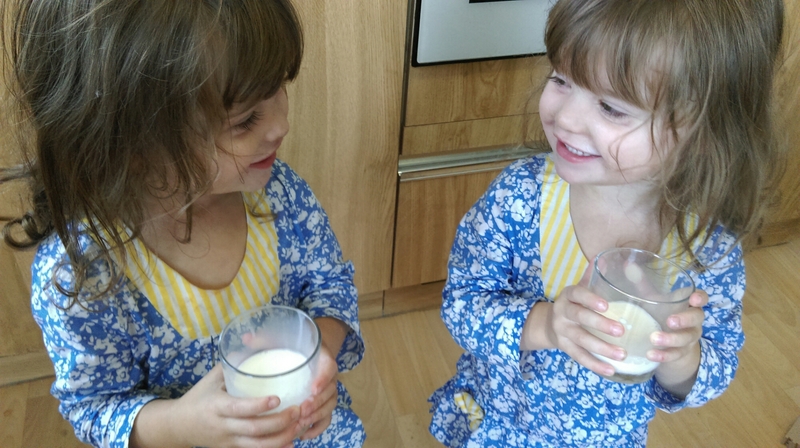 They look pretty identical to me, but actually (as the mum of a genetically mapped out kid) I’m quote surprised they don’t test at birth to find out. Hilariously I have a friend with boy and girl twins and she still gets asked if they are identical!!! They look amazingly identical. I’m not surprised you want to find out. In the first two pics they look completely different.. But the one where they’re on the bed and when they’re with Bunny, they look identical!! This is so interesting Emma, I bet yours turn out to be the unusual semi-identical, will wait to see. Jenny @ The Brick Castle recently posted..Christmas Gifts for the man (or woman) who has everything…. Ohh but ended up ID anyway, clever stuff!